Whether you use them for work or play, cold weather gloves have a double function: first off, they protect the hands from cold, and secondly they will protect your hands from injuries in case of falls or work accidents. That’s why you never remove your gloves while skiing! In general, women have more sensitive hands, and may be tempted to use mittens, but try to avoid that! 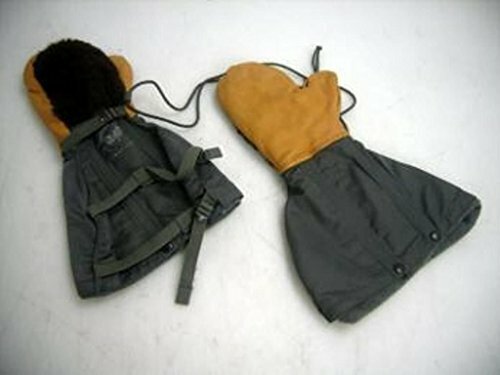 Even if mittens are warmer, it gets uncomfortable to remove them whenever you want to reach into your backpack or to answer the phone. In the case of children however, mittens are much more comfortable. If you have hot hands, do not buy gloves that are too warm, because your hands will sweat! And also, an important consideration must be given to quality. Cold weather gloves should be sturdy and waterproof. The palm should be made from a material highly resistant to wear and abrasion, more so than the material used on the top of the hand. The palm material must also have good grip, and be well sewn to the glove. A good glove does not hinder the palm and fingers from opening and closing freely and fully. The material, if too stiff, will cause the fingers to ache and you won’t be able to hold the ski sticks or work tools for extended time. When buying new gloves, pay special attention to the tips of the fingertips. Also, the gloves should be tight enough to leave fingers dexterity and avoid any unnecessary thickness. While at a quick glance the entire glove may look well made, with good materials and craftsmanship, sometimes the fingertips may not be that well insulated. You can end up with a pair of gloves that don’t allow you to stay outside for more than half hour at a time before getting frozen fingers. Some people may find leather gloves to be more pleasant to the touch than synthetic ones. We are presenting both kinds in our article. For extremely cold weather, an outer shell plus liner glove construction should be preferred, or mittens if the type of activity allows. Or a mitten plus liner system, to protect the hand when removing the mitten. For people with really cold hands there exist gloves provided with electrically heated wires around the hand and at the finger tips. 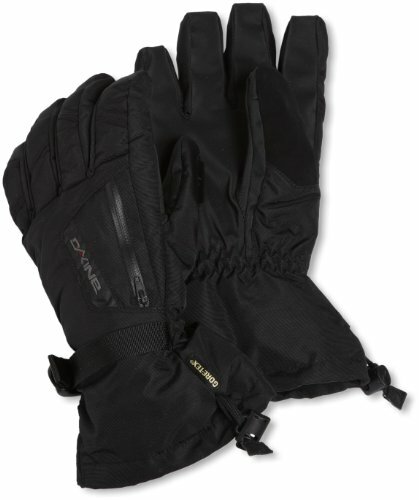 These gloves are warm and comfortable, perfect for skiing and work in the snow, in temperatures down to -10F. They aren’t fit for riding the motorcycle or ATV, since they’re bulky. The liners can be worn by themselves in warmer weather, for instance for running. Even in cold weather, you can pull out the outer gloves and your hands will still be protected by the liners, which are dexterous enough, have good grip, and are smartphone compatible. 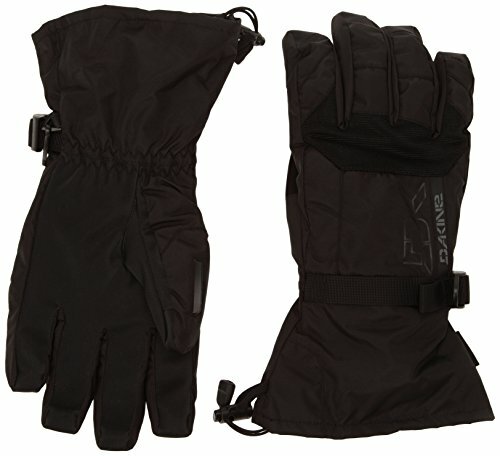 The gloves give good water insulation and dry quickly if wet. These gloves are really great value for the price. 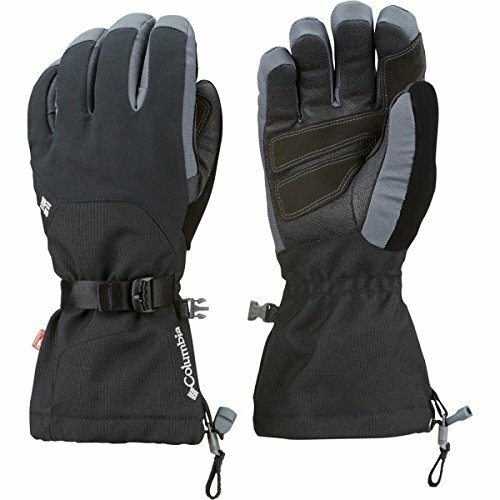 The perfect gloves for skiing and snowboarding, or for activities in the snow. In warmer weather, it’s possible to wear only the outer glove or just the liner. The liners slide in and out of the glove with ease, and have a rubbery surface to give good grip on things. The nose-wipe panel or squeegee is useful for removing snow and ice from the goggles or glasses. There is a pocket with zipper in between the index finger and thumb which includes a soft cloth for wiping goggles; the pocket can hold money or keys as well. The cinch cords do a good job cuffing the gloves down on snow powder days, but the plastic clip could be a little sturdier. Being washable, you can keep these gloves fresh and nicely smelling all winter long. These mittens are USAF-issued, and are made of natural materials (wool and leather) with the exception of the upper part which is nylon. They do not have a trigger finger and are extremely warm and durable. Wear them directly on the hand or with a pair of thin liners. They are perfect for outdoor activities like hunting and fishing, for snowmobiling, snow blowing, or other activities. They come out easily to allow you to do detailed work with the fingers. When they’re out, they have a cord to hang them around the neck. 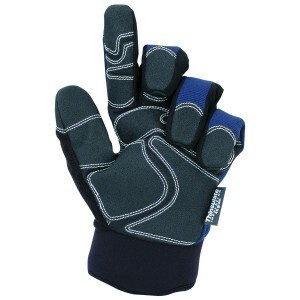 All in all, these do a great job keeping the hands toasty, and come at an unbeatable price. 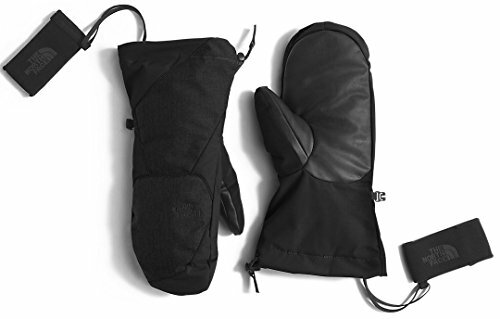 This is an outer mitt plus inner liner glove design for serious warmth. The inner liner is made of 2 layers of fleece fabric with 2 layers of Thinsulate sandwiched in-between them. The liner is held in place with velcros and is easily removable for faster drying. When using them for domestic activities, some people will find the cuffs to be too long and rather irritating. Otherwise, an ideal fit for all cold weather, down to Alaskan temps. Good sturdy work gloves from Carhartt. These would be fit down to 20F degrees, under that buy and use a pair of liner gloves. Tough enough for use in chain sawing, moving branches, wood chopping, warehouse work, and a lot of other areas. There are reports that they can withstand a chainsaw bite without tearing, but you shouldn’t rely on this alone, and exercise caution at all times. They are very sturdy built indeed, and durable. 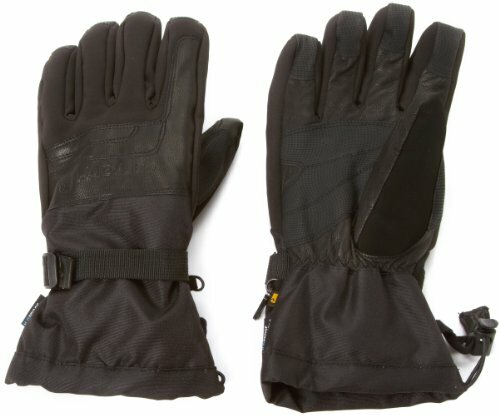 This glove is perfect for in-the-snow activities like skiing, snowboarding, snow-blowing etc. It will keep the hand warm and dry for a long time. The construction is good even at the tips of the fingers, where many gloves can’t keep the warmth in.